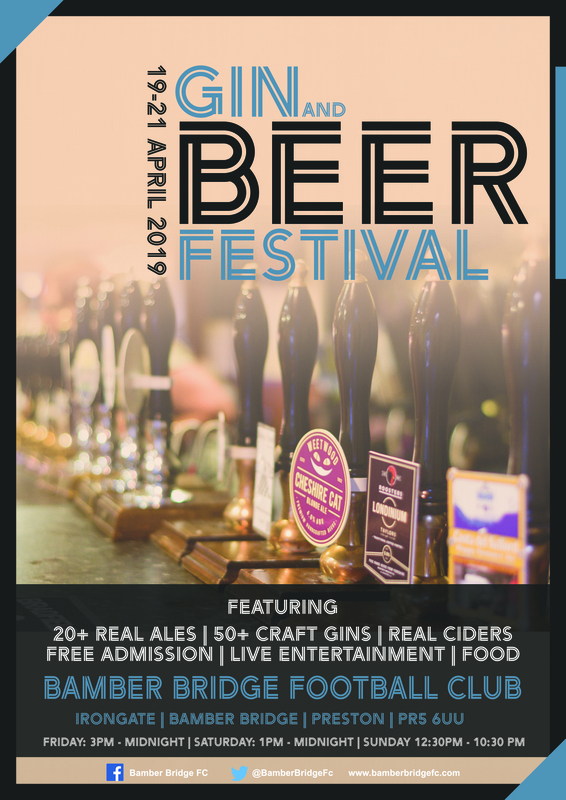 The BBFC Beer and Gin Festival is back on the Easter weekend of 19 - 21 April 2019. Our popular beer festival returns for the 4rd time this year over the weekend of 19-21 April. As always our beer bar will offer the finest selection of real ales from breweries across the UK, including local micro breweries. Our gin bar will offer at least 70 gins from the finest craft distilleries across the UK and beyond, including local gins distilled in Lancashire, along with those from further afield. All gins will be served with a choice of premium Fever-Tree mixers and a wide choice of garnishes. Can you sponsor barrel of beer or a bottle of gin? Package includes: Beer/gin vouchers, festival programme, advert in the match day programme for the remainder of this 2018/19 and the 2019/20 season.